It is compulsory to have a study of bones of the upper limb and to understand the topography and the attachment of various muscles and ligaments of the upper limb. 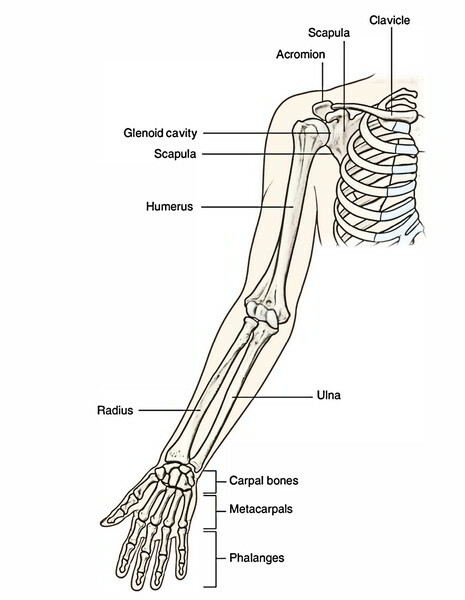 Students must go through the features and attachments of the bones prior to the study of the upper limb. The study of bones also helps to understand the position of various articulations, wide range of the movements executed by the upper limb and the genesis of various fractures, which are common in the upper limb bones.